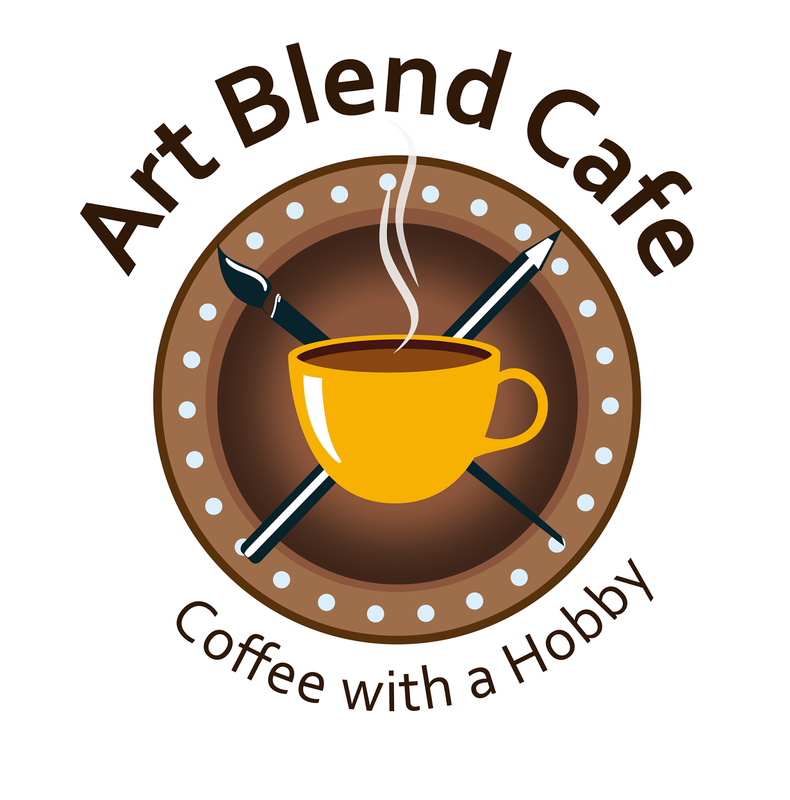 Art Blend Cafe - Coffee with a Hobby, is a venture by two lovely ladies - Archana and Prateeti. The former is an artist from Lucknow while the latter is a ex-IT professional and the brain behind the cafe business. 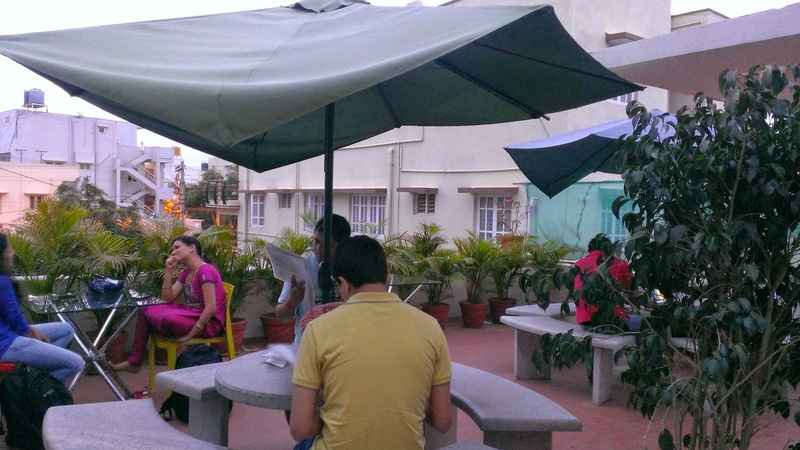 Being in HSR layout gives it a leverage to be constantly buzzed by IT and other professional crowd during day time and couples, families in the evening. 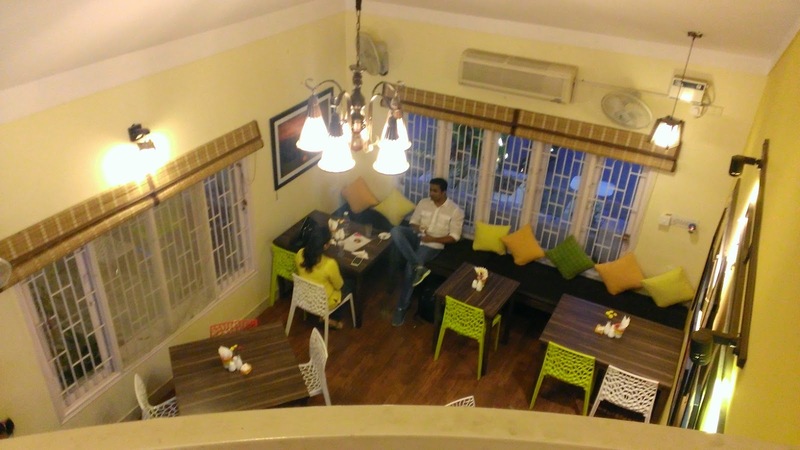 Opened on 14th Feb this year, the cafe has already made its mark by being on the list of "11 cafe with Character in Bangalore" in polkacafe.com. Every month ABC exhibit paintings from different artists, most of them non-professionals. 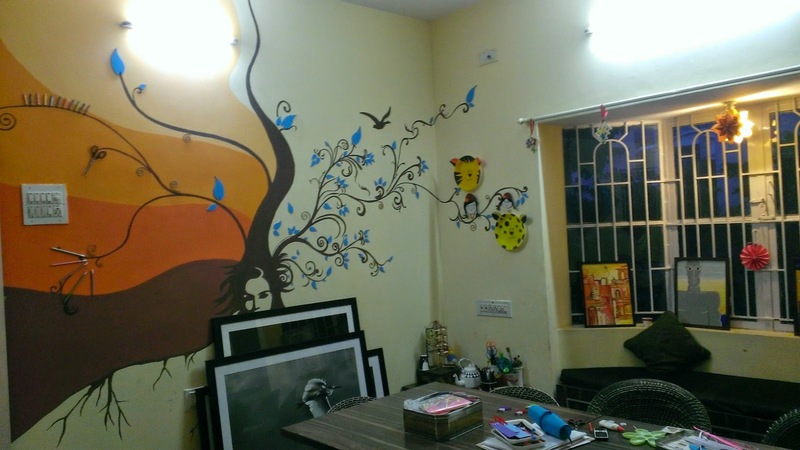 As per Prateeti, it brings the whiff of art into the life of people who otherwise have no time or inclination to visit a mature art gallery or exhibitions. They also do various other activities like silent reading sessions, live paintings, art and craft classes apart from celebrating events and festivals in full vigor. 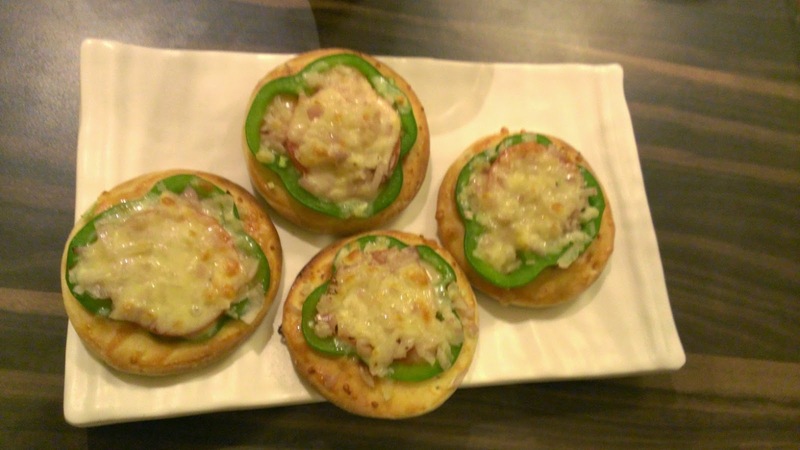 The first time I went there, the Cafe was showcasing the paintings of professional artist Babun Ghosh who also conducted some live painting sessions. As an amateur artist myself, I was immediately mesmerized by the beautiful paintings in all the rooms. "Rooms", ah, I forgot to mention another beauty of the cafe. 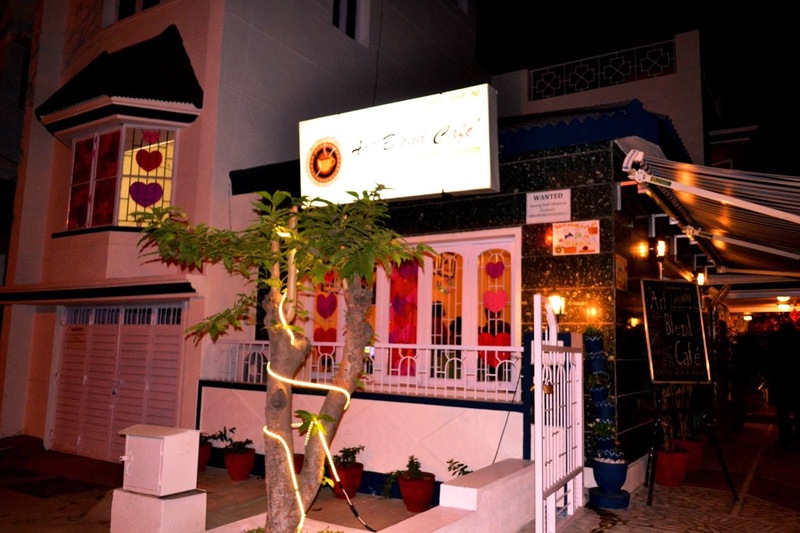 HSR boasts of many eating joints set up in rented mansions. This gives them with enough prospects of having different kinds of seating arrangement. In case of ABC, each area is decorated with different artistic flavors, one with book shelves, one on a terrace, one being the art workshop. But there is no good cafe without good coffee? We ordered both hot as well as cold coffee and were more than satisfied by both. 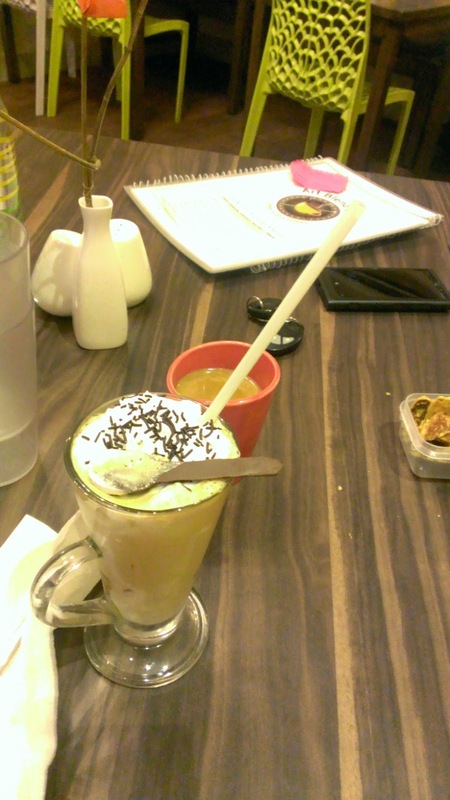 Unlike the heavy caffeine laden coffee of CCD, here you get the perfect mix. I guess everybody knows how to prepare good coffee except CCD ;) Along with coffee the snacks surprised us. We were confused for what to order as they have wide variety in their menu. We couldn't resist ordering Italian which turned out to be delicious. These guys have done their homework pretty well. Recipes are really good. One thing they can improve is background music. Last time there was no music, this time they were playing some but not very memorable tunes. All in all, it is one place where great minds can discuss ideas. 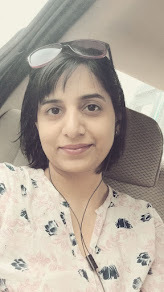 I am looking forward to spend some quiet, quality time while Pihu can be busy doing some art experiments in the workshop area. Of course, she needs to grow little older and less destructive (I mean playful :P). Till then, I am better holding my naughty girl from breaking stuffs while managing to sip my coffee in between. ABC reminds me that I too am a person with arts as a hobby till the time I paint my next. Keep yourself posted about the updates from ABC by liking their FB page!! Sounds like a nice cafe, particularly the art idea. 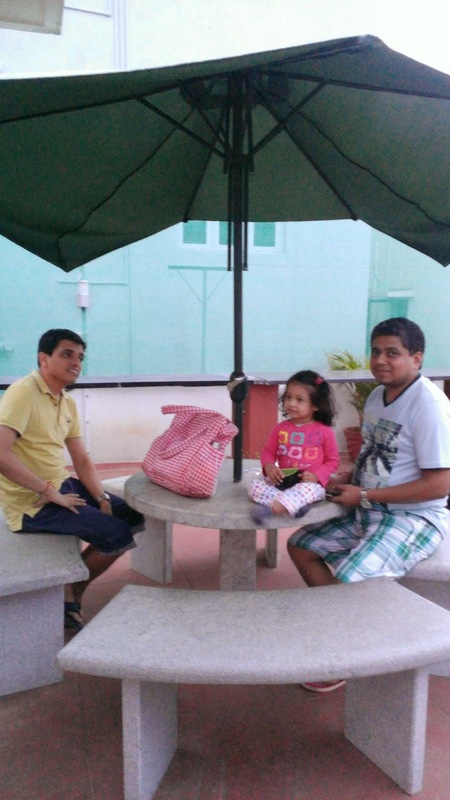 Cool Ambience and is that Angel in pink your Daughter! She is adorable! Some niches are necessary in life. This one looks wonderful. Nice place. I like the ambiance! I feel like having a cup of coffee there. Nothing like fresh smelling coffee.